Cripsy vegetables tossed with salt and pepper. Wok tossed shrimp with chilly, basil, ginger onion sauce and crispy tonton triangles. Charcoal tandoor grilled tender chicken tikka, marinated with cheese, yogurt, spices and garlic. 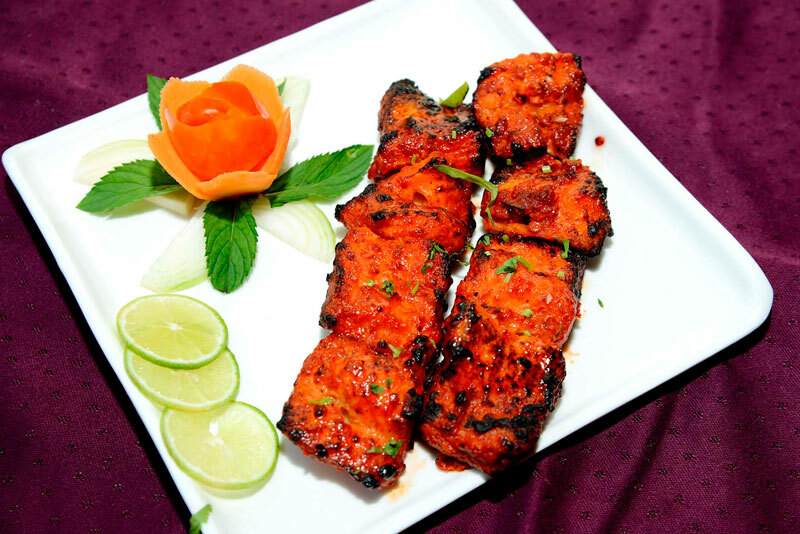 Tandoor grilled fish cubes, marinated in yogurt and Indian spices. A Mughlai specialty, a slightly spicy and creamy dish of dish of mixed vegetables, cooked in onion and cashew cream gravy. Wok tossed pork in a spicy Szechwan sauce, made from red chillies, celery and onions with garlic and seasonings.